On-trend and textural! 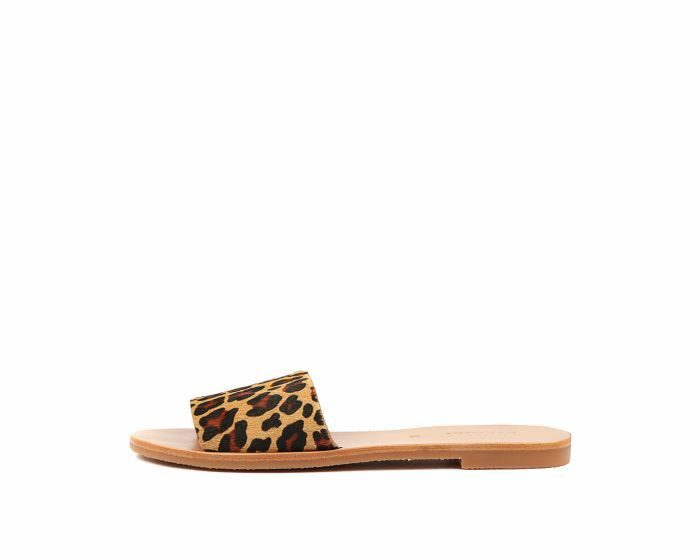 This gorgeous slide has a printed pony hair strap that will add a little something extra to your look. A street-style option that we're seeing everywhere right now, you'll love it paired with raw-hem jeans and a tucked-in singlet.